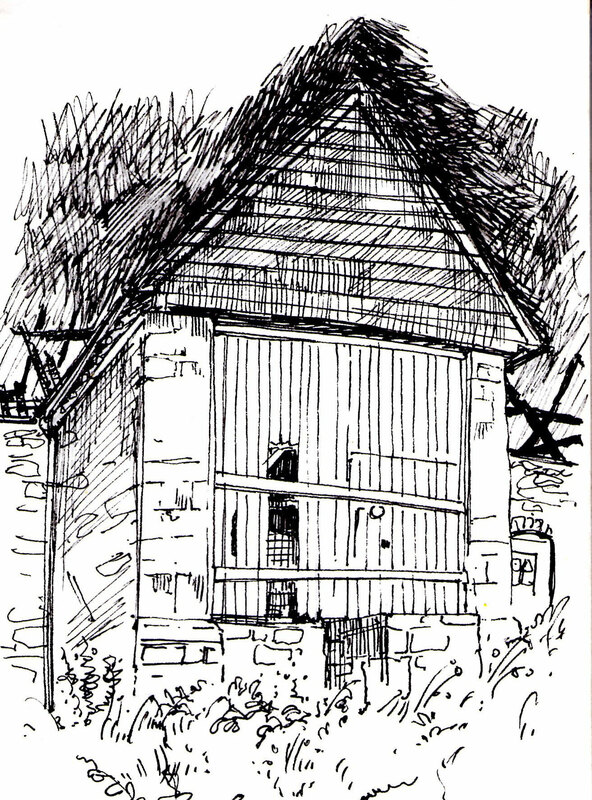 Katie research's and makes sketches on site before starting the illustration process. 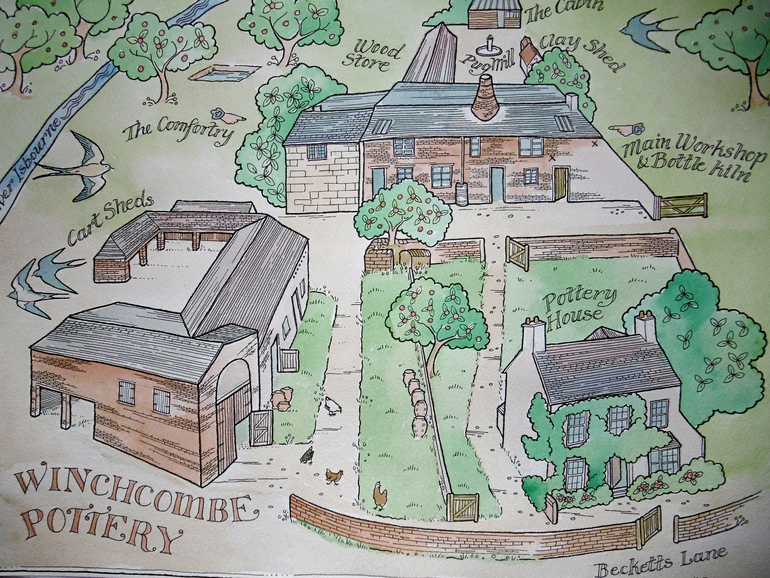 Little details, people, history and landmarks create a unique map or illustration. Her rescue dog Jet often finds himself in a map or on the front of a greeting card. Available as cards and prints..see shop page. I am happy to be commissioned for any size of map, please call or write for more information. I like to add my son on his bike, our little dog Jet and sometimes myself into the pictures. 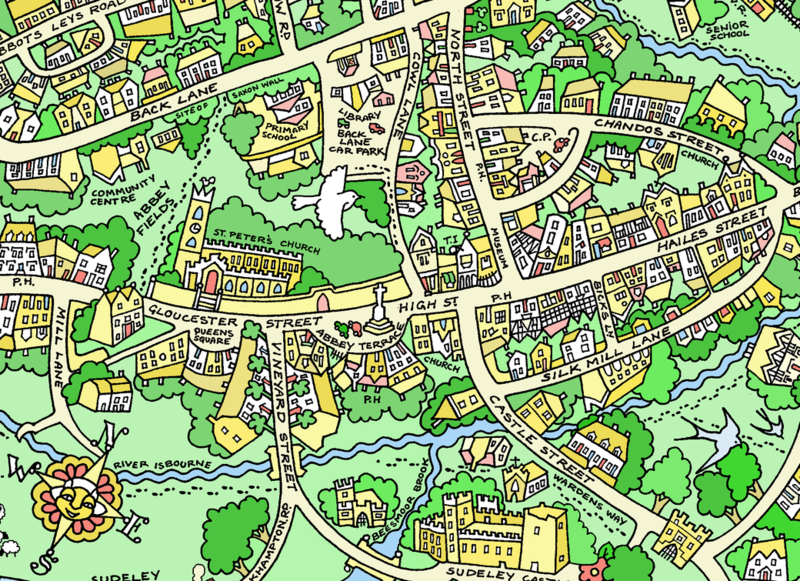 The map of Stroud was used in the January edition of Cotswold Life Magazine. buildings, books and greeting cards. I enjoy drawing homes and other buildings, often in a traditional illustrative style. Please call or write if you would be interested in commissioning me. Available mainly via the following link, but also my website and pop up shops. 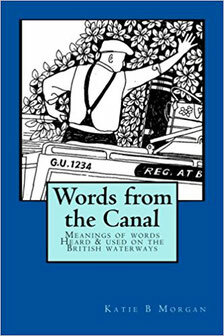 A name used to call people watching activity on the canal without actually participating.